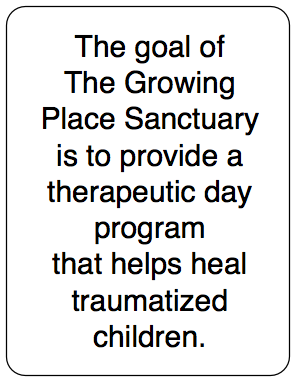 The Growing Place Sanctuary is a comprehensive therapeutic program for children who have experienced complex trauma​. We want to interrupt the cycle of complex trauma in order to rehabilitate children and their primary caregivers by utilizing innovative, whole-child, creative therapies in an outpatient day program. Children and their caregivers who have experienced childhood and complex traumas such as abuse, neglect, poverty and human trafficking. We will empower children and caregivers to free themselves from the cycle of complex trauma through multi-level therapeutic modalities, education and continuum care. Building resilience through ​individual thriving, creating and healing. ​Complex trauma, resulting from Adverse Childhood Experiences (ACE's), leads to increases in damaging educational outcomes, chronic health problems and escalated violence on a broad societal level. ​"Childhood experiences, both positive and negative, have a tremendous impact on future violence victimization and perpetration, and lifelong health and opportunity. As such, early experiences are an important public health issue. Much of the foundational research in this area has been referred to as Adverse Childhood Experiences (ACEs). Adverse Childhood Experiences have been linked to risky health behaviors, chronic health conditions, low life potential, and early death. As the number of ACEs increases, so does the risk for these outcomes. The wide-ranging health and social consequences of ACEs underscore the importance of preventing them before they happen." 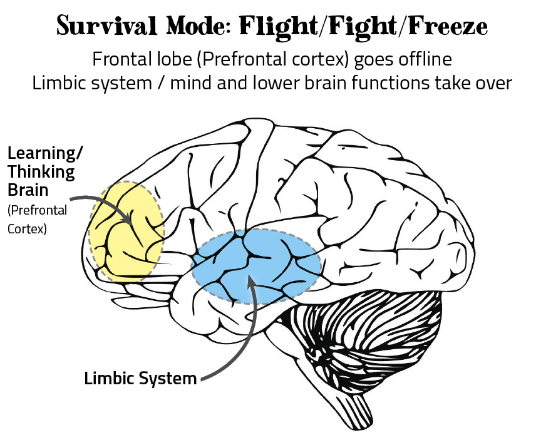 ​When under stressful situations, chronic stress or complex trauma, a child's higher thinking/learning part of the brain shuts down and the "primitive" part of the brain, the "fight, flight or freeze" takes over. This keeps the child in a high state of toxic "survival" mode, inhibiting their ability to process information/directions, makes it difficult to learn new concepts and creates what could be viewed as "behavior issues." This constant brain state can lead to inflammation, high cortisol, and future chronic health problems. 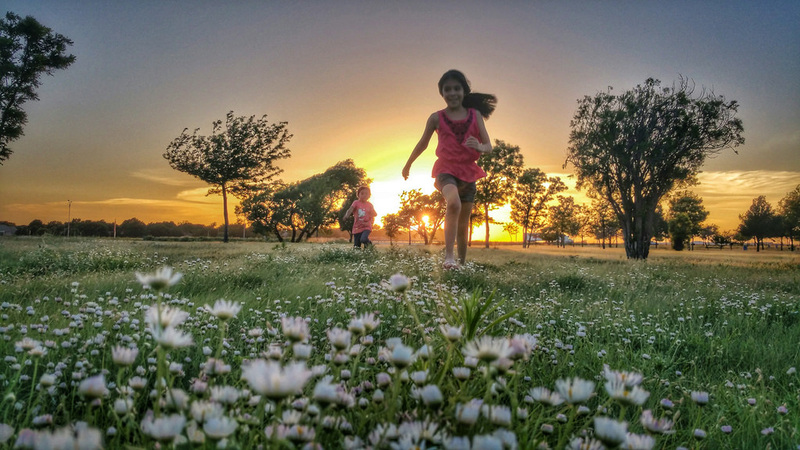 The Growing Place Sanctuary seeks to interrupt the cycle of complex trauma in order to rehabilitate children and their primary caregivers by providing and utilizing innovative, whole-child, creative therapies in a 'Safe, Stable and Nurturing' outpatient day program. The Growing Place Sanctuary understands that children have been traumatized by their adverse childhood experiences. Our goal is to provide a therapeutic sanctuary for these children and give them a secure environment to heal and grow. We want to equip children with the tools to free themselves from the 'identity of trauma' and its far reaching effects on the rest of their lives. ​The Growing Place Sanctuary also seeks to serve the caregivers of these children, providing them with the counseling and training they need by providing continuum of care. We will also engage the community systems around the child to develop a ​lifelong support system for the family. "By changing the life of the child we change our community and when our community changes, our society as a whole is uplifted." We will provide children with a secure haven created especially for them to THRIVE. Among the many therapeutic services we will also use a trauma informed fine arts program that allows children and families to CREATE new positive outcomes. We will utilize equestrian and other animal assisted therapies that focus on allowing children to HEAL. ​We are building a duplicatable and sustainable model that we hope to launch in conjunction with obtaining our flagship property located in Middle Tennessee. This property will also be a training facility, so that we may multiply The Growing Place Sanctuary model into places of need and/or partner with other organizations (schools, group homes, residential care facilities, orphanages, prisons, mobile teams, etc.) working with this population in other parts of the State, Nation and throughout the World through our programs like GRŌ. ​Please contact us if you would have questions or would like more information. We would like to introduce and invite you to our newest program, our 'proof of concept' if you will but with so much more in store! We would love for to join us in participating in #thebeautyofcommunity and experience a personal way to benefit from and contribute to the work of The Growing Place Sanctuary™ in your own life and the life of your family, friends and new friends too! Won't you GRŌ™ with us? IHL Group is a global research and advisory firm specializing in technologies for the retail and hospitality industries. ​Head To Toe, founded in 1983, is dedicated to service and value.